Welcome to this beautiful and bright 2 bed/2 bath patio home with open concept living, private and covered yard and patio space, and just minutes to the beach and major amenities. Walking in, you will be greeted to vaulted ceilings, an open concept floor plan with beautiful flooring throughout, a spacious living room with beautiful natural gas fireplace, leading into the open dining space continuing into the kitchen with tons of cupboard and counter space. 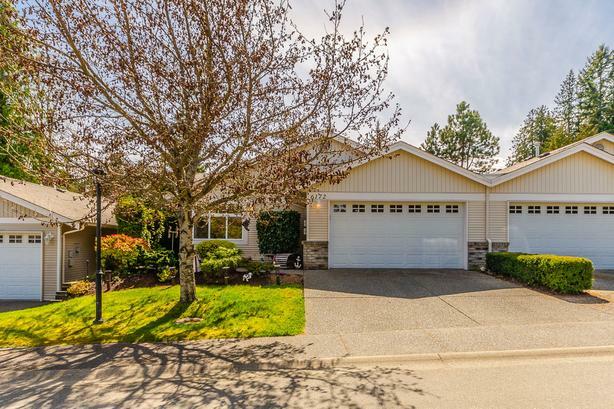 There are two large bright bedrooms, each with an ensuite and plenty of closet space, a laundry space, and a double garage along with a covered patio fenced in for privacy and allowing space for that summer BBQ, entertaining, or relaxing with a book. Minutes from Dover Bay Secondary, the beach, shopping, and restaurants, this location is perfect for someone looking for a quiet neighbourhood while still having access to all major amenities. Measurements are approximate, please verify if important.